To purchase your own copy, click here. When shy Katie Rose Gingerich’s dat sends her to Huckleberry Hill to secure a marriage proposal, she never expects to long for carefree Titus Helmuth—or to hope that he might want to spend every Christmas with her . . .
What do you get when you combine Anna and Felty’s earnest grandson, Titus, with a pretty girl who’s practically engaged to someone else, a sleigh full of Christmas bakery orders, and two mischievous Christmas goats? A wild, wacky, and wunderbarr Christmas, that’s what. 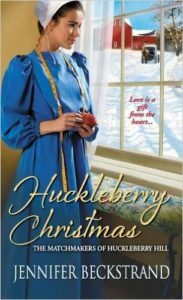 Anna and Felty Helmuth are determined to make this the most romantic Christmas ever on Huckleberry Hill, but have they bitten off more than they can chew trying to match their slightly scatterbrained grandson Titus with timid Katie Rose Gingerich? Titus tends to be a little thick in the head when it comes to love, and Katie Rose is too shy to open her mouth. It might take every potholder Anna can knit plus a determined goat and a little Christmas magic to bring Titus and Katie Rose together. Titus would do anything for his Mammi Anna, even eat her very bad cooking and learn how to knit, but why does he have to be the one to care for Mammi’s new goat? Goats give him the willies. But when Titus meets the pretty girl staying with his grandparents for Christmas, he doesn’t mind the goat so much. The more he sees of Katie Rose’s gentle ways and loving spirit, the more he wishes he were the kind of boy she would bake a pie for. Can he convince her to love him without offending her boyfriend? And will Mammi notice if he gets rid of her goat? After I wrote Huckleberry Hearts, I just knew there had to be someone special out there for Titus Helmuth, Anna and Felty’s lovable grandson. Christmas is the perfect setting for “A Christmas Bakery on Huckleberry Hill” because Titus is one character who seems to have the spirit of Christmas in his heart all year long. When Katie Rose is homesick, Titus does his best to make her feel welcome and comfortable on Huckleberry Hill. He delivers her Christmas goodies, writes poetry for her, and sings Christmas songs. When he finally realizes he loves her, he’s going to have to use both Christmas goats and every trick in the book to convince her to marry him. It’s a fun, heartwarming, wonderful-gute Christmas romance. “A Christmas Bakery on Huckleberry Hill” is in The Amish Christmas Kitchen novella collection, and it will definitely get you in the Christmas spirit. Enjoy and Merry Christmas! The first story is Kelly Long’s Baking Love on Ice Mountain which was just an ok story for me. Its a story of a young widow and her deceased husbands friend. They were both good at making cookies, and seemed to want to be the best cookie maker. I love The Huckleberry Series, and was delighted to have another visit with this sweet family through The Christmas Bakery on Huckleberry Hill. Titus is the grandson in this book that Felty’s wife Anna decides needs a new wife, and of course she has just the right one picked out for him, they just don’t know it yet. I love this couple and enjoy each story in this series. Felty is a sweet old man that everyone has to fall in love with, and Anna is just as adorable. Anna’s idea of a Christmas goat was hilarious, and as usual, I love how Felty goes along with everything his wife suggest. Titus coming to the house to feed that goat had him spending more time with the granddaughter, Katie Rose. The question is, who will Katie choose as a husband, the boy her father sends her there to get to know better, or will it be Titus, who treats her like she wants to be treated. 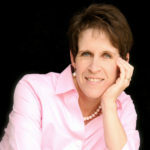 Jennifer Beckstrand gives readers another wonderful story to love and enjoy. If you haven’t read any of this series, I would certainly read this book, and go back and read the others. You will have as much fun as I did reading these, I promise you! The last story is about a little boy that needs heart surgery and his teacher organizes a fund raiser to pay for the surgery, and even though he is Amish, the story goes to the media and everyone is routing for his little one. It enjoyable to read how the Amish community and all around them came together for this little one. Like most Mountain Amish girls, Mary King has always dreamed of her wedding day. But she never imagined that a sudden, irresistible kiss would result in marriage to the handsome Englischer professor studying her unique community. Or that doing the truly honorable thing means keeping their relationship chaste so both she and Dr. Jude Lyons can someday go their separate ways. But when Mary accompanies her husband-in-name-only to Atlanta to meet his wealthy, overbearing family, she’s tempted more than ever by Jude’s kindness, humor–and vulnerability. And when a wrenching misunderstanding causes her to return heartbroken to her remote Appalachian home, she’s certain she’s lost the real love they have found…and the shared future she’s come to want so much. But a crisis of more than faith will work surprising miracles–and show Mary that love is strong enough to make the impossible come true. Joseph King has good reasons to work an oil rig far from his beloved Ice Mountain . . . and to mind his own business. He hopes to protect his younger brother Edward from worldly influences. And maybe he can finally forget how yielding to temptation forced him to leave home in disgrace. Still, no honorable Amish man would let Priscilla Allen and her four-year-old daughter remain homeless, living out of their car. And how can he not be drawn to the feisty waitress’s bravery and hidden strength . . .
Offering Priscilla a home on Ice Mountain as his wife-in-name-only gives her a place to start again. For Joseph, it’s also an unexpected chance to regain his reputation and standing in the community. 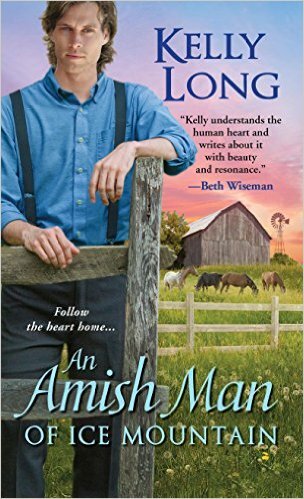 But Priscilla’s warmth, caring, and determination to adjust to Amish society are renewing Joseph’s long-buried hope. Now as his guilt and her wrenching secrets threaten the fragile trust growing between them, they will need the riskiest of miracles to put the past to rest–and fulfill a promise only love and renewed faith can bring. Young healer Sarah Mast always hopes for the best. But her betrothed’s return from working Englischer oil rigs is confirming her worst fears. She no longer recognizes Edward King as the honorable man who’s been courting her—someone who now wants his people to sell their precious mountain land to a drilling company. And no matter how appealing his touch, she can’t see a future for them. Until a misunderstanding and the laws of the Old Order leave them no choice but to wed. Living together in Sarah’s simple log cabin, surrounded by the love and faith of the mountain Amish, Sarah and Edward will have a heaven-sent chance to truly know each other for the first time . . . When I saw the cover of these books, I really had to have them, because I love pretty covers. And these are very good and well written stories, I just don’t agree with them being listing as Christian or Inspirational fiction. 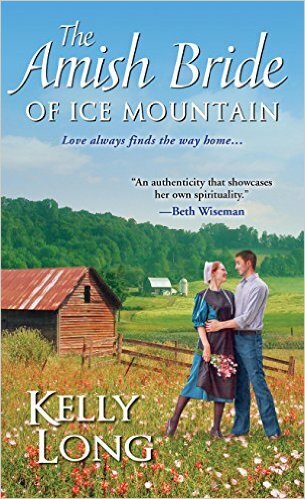 In book one, The Amish Bride of Ice Mountain, I felt the author went overboard with giving detailed descriptions of the love scenes, this is for secular books, not books labeled as Christian fiction. Then I read the second book, The Man of Ice Mountain and it was even worse even more detailed scenes. I respect people who enjoy this type of book, but not if they are listed as Christian. For this reason, I didn’t bother to read Book Three, because I didn’t want to waist one or two days on a book I didn’t feel comfortable reading. Like I said, these are really good stories, but they are definitely NOT Christian or Inspirational fiction. I am sorry but I can not support contents like that here. I received this book from Zebra Publishing to read and review. I was not required to write a positive review. The opinions I have expressed are my own. I am disclosing this in accordance with the Federal Trade Commission’s 16 CFR, Part 55. Kelly Long was born and raised in North Central Pennsylvania. There was an Amish hitching post at the small grocery store in her town. 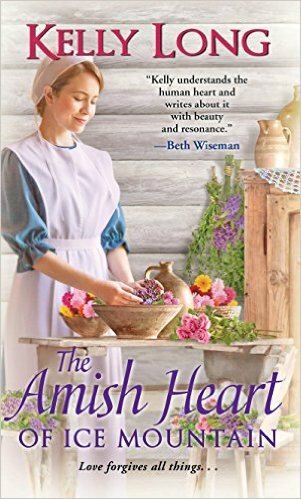 She loves to write Amish romance and is the author of novel, Sarah’s Garden, the novella Amish Christmas Expanded Edition with some other great Amish authors, Amish Love with Beth Wiseman and Kathy Fuller, and Lilly’s Wedding Quilt–the sequel to Sarah’s Garden. She lives in Atlanta with her husband and children. Three Stories That Share the Adventures of First Love and Second Chances. A Perfect Secret—Rose Bender’s betrothed, Luke Lantz, is safe and dependable, maybe a little too much so. Or so she thinks until she sees him in the woods one night and discovers a secret he’s been keeping. Now his secret haunts her. She wasn’t sure about marrying a man she knew too well. But should she marry a man she doesn’t understand at all? Christmas Cradles—When Anna Stolis takes over for her aunt, the local midwife, Christmas night heats up with multiple deliveries, three strangers’ quilts, and unexpected help from the handsome and brooding Asa Lapp. A Marriage of the Heart—Since her mother’s death, Abigail Kauffman has lived alone with her father. She longs to escape the emptiness of the farmhouse that has never felt like home. Joseph Lambert is a newcomer in their close-knit community. Only after suddenly marrying do they begin to understand the tender truths of life-long love. 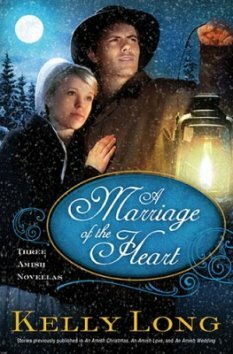 In this book, you get three short stories by Kelly long: A Perfect Secret; Christmas Candles and A Marriage of the Heart. Each story is about a different Amish family. And it is difficult for me to pick a favorite because they are all really good stories. In a Perfect Secret, we have Luke and Rose’s story, and there are a lot of secrets with Luke that Rose is just not sure about. In Christmas Candles, Anna Stolis and Asa Lapp find themselves in a unique and sometimes embarrassing situation when Asa offers to drive Anna around to the home of three ladies that are about to deliver their babies. In A Marriage of the Heart, Joseph and Abigail find themselves in a sticky situation, or should I say marriage because they married out of necessity, not because they loved each other. 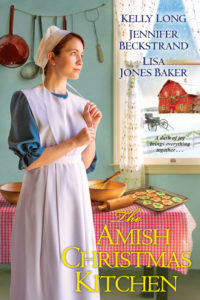 Three Amish Novellas and three sweet heartwarming reads for those of you who love Amish fiction. And the wonderful thing about this book is that each story is so short they can be read in one setting. Grab your copy today for your enjoyment. I received this book free from the Thomas Nelson through the BookSneeze.com book review bloggers program. I was not required to write a positive review. The opinions I have expressed are my own. I am disclosing this in accordance with the Federal Trade Commission’s 16 CFR, Part 55.